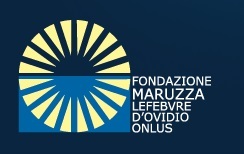 The Maruzza Lefebvre D'Ovidio Foundation intends to be involved in a movie production regarding paediatric palliative care in cooperation with the Moonshine Agency, an Australian Ltd that was responsible for the production of LIFE Before Death, a moving pictures advocacy project about adult palliative care and pain control that reached millions worldwide via TV broadcast, social media, hosted screenings, DVD, mainstream media and other distribution channels. A feature film, one-hour television documentary, 50 short films, an iPad app, two websites and various social media places were created for LIFE Before Death (2012), which is a multi-award winning project. In addition, Moonshine has spearheaded other moving pictures advocacy projects about Rheumatic Heart Disease, Cancer, Palliative Care and Homelessness. The Moonshine team are world leaders in this emerging field of advocacy and audience engagement. Regrettably, not all childhood illnesses can be cured. However, many children with life-limiting conditions will live for years, if not decades Currently, 12 Million children around the world can benefit from palliative care, but access to services remains an issue. These vulnerable children and families are suffering. They are largely invisible. This project will raise awareness, promote engagement and provide essential communications tools to help generate positive changes at both local, state national and international policy levels. Children's palliative care is a human rights issue that directly relates to the dignity of at-risk children and families. The Nando Peretti Foundation has awarded a grant for this project. The project objective is to, within 24 months, achieve over 10 million media impressions carrying the message of vulnerable children and families facing life-shortening illness (the problem) and access children's palliative care (the solution). All communications will highlight the voice of the child (and the child's family where possible) and incorporate calls-to-action harmonizing with the objectives of our Project Partners. Such calls-to-action may include encouraging donations (target: to raise more than the production budget), public engagement toward political outcomes (target: over 100,000+ views) and dissemination of educational materials (Target: over 20,000+ live audience members engaged). The release is guided by a detailed strategy communications plan, which is attached to this application. - Step Six: Distribute as broadly as possible (including public broadcast television, ‘bricks-and-mortar' DVD retail, educational markets, online portals, libraries and in the community via public screenings for general audiences eg Festivals, Events (November 2014-February 2015). - Public Screenings: up to 300 individual tracked screenings, in up to 40 countries, in up to 15 languages, reaching up to 35,000 ‘live' audience members in the first 12 months of release. The multiplier effect continuing thereafter. - Public Broadcast Television: in 5 counties within the first 18 months of release. The multiplier effect continuing thereafter. - Media Reports: exceeded 14 million potential impressions worldwide. - YouTube Views: exceeding 275,000 in the first 24 months of release. The multiplier effect continuing thereafter. - DVD: Thousands of copies distributed around the world in multiple languages reaching audiences exceeding 150,000 in first 18 months of release. The multiplier effect continuing thereafter. - Project Website: 60,000 visitors in first 18 months of release. The multiplier effect continuing thereafter. - Social Media: 200,000 potential impressions in first 18 months of release. The multiplier effect continuing thereafter. - Awards: 6 awards in first 18 months of release. The multiplier effect continuing thereafter. - Policy & Program Results: tracked through evaluation forms and testimonials. · influence, enhance and promote excellence in palliative care nationally and internationally by supporting research, education and raised awareness.